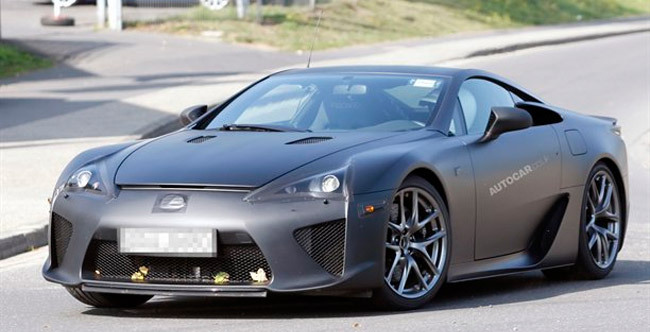 Judging by the Recaro front seats, this is likely the rumored track-ready version of the Lexus supercar—there’s a few more images in the Autocar gallery, be sure to check them out. 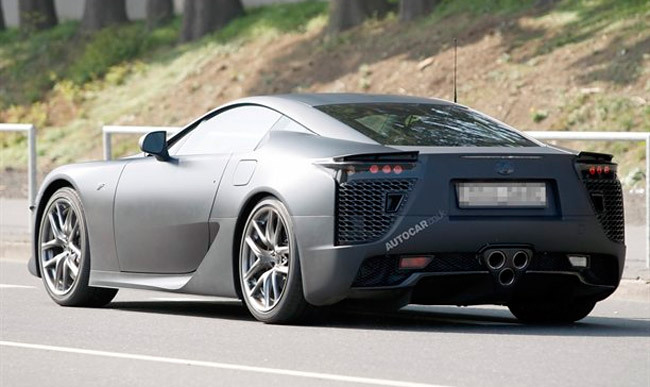 Between this and the white LFA seen a couple days ago, it’s hard not to be impressed with the work refining the LF-A design, which I find very crisp and nicely aggressive. The wheel design suits the car exactly, and I’d say that matte black paint is production ready as well.